Toronto, Ontario (April 18, 2012) – The Vintage Automobile Racing Association of Canada (VARAC) will hold its 33rd Annual Vintage Racing Festival, renamed for 2012 as the “Canadian Historic Grand Prix” sponsored by Wilson-Niblett Performance of Richmond Hill at Canadian Tire Motorsport Park (Mosport) . Wilson-Niblett is Canada’s largest Corvette Dealer and agent for Callaway Performance Cars. 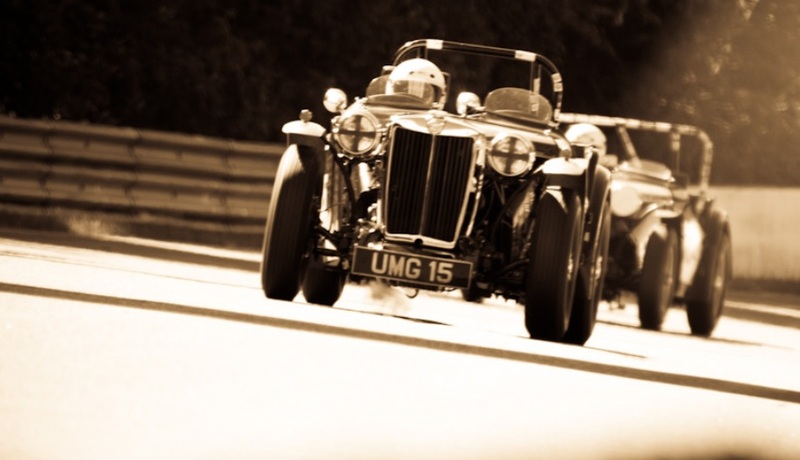 Fittingly, this prestigious historic racing event is Canada’s premier vintage and historic race meeting. The annual event will be held at the world-renowned circuit from June 15 through 17, 2012. This technically demanding, very fast 2.459 mile track and former home to the Formula One Grand Prix, Can-Am, Trans-Am and Formula 5000 is just one hour northeast of Toronto. Corvette will be the featured marque for 2012. Corvette racing cars from across Canada and the United States will descend on the Toronto-area track for the second major historic Corvette focus event following the very successful Corvette World Tribute held at Road America in Wisconsin this past August. In addition to Corvette racing, VARAC will make High Performance Driving and Touring sessions on the Grand Prix track available and there will also be lots of activities both on and off the track for Corvette Clubs and other enthusiasts including a rally/tour of the area. Subject to finalizing personal schedules, Johnny O’Connell and Andy Pilgrim have tentatively agreed to act as Grand Marshals for this prestigious event. . There will be racing for six groups of cars including Monoposto (single seat open-wheel vintage & historic race cars), Small Bore Vintage & Historic Cars (under 1800cc), Big Bore Vintage & Historic Cars (over 1800cc), Wings & Slicks (very fast purpose-built racing cars running on slick tires), G70+ Cars (cars dating from 1973 to 1989 including Porsches, Mustangs, etc.) and of course Corvettes. The weekend will also play host to the only Canadian round of the Small Bore Challenge Cup, an enduro series for small bore vintage & historic racing cars. 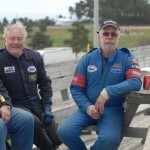 VARAC extends a special invitation to all drivers, crew, marshalls, volunteers and media involved with racing in past years to join in the ”Great Canadian Racers Reunion” on Sunday morning. This will be a fantastic opportunity to re-connect with old friends and celebrate the history of Canadian racing. 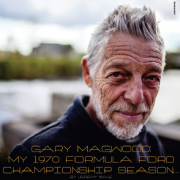 As in important and integral part of the larger gathering, former Canadian National Champion, Gary Magwood will host the “Legends of Mosport” driver’s reunion and many of Canada’s racing greats will be in attendance. 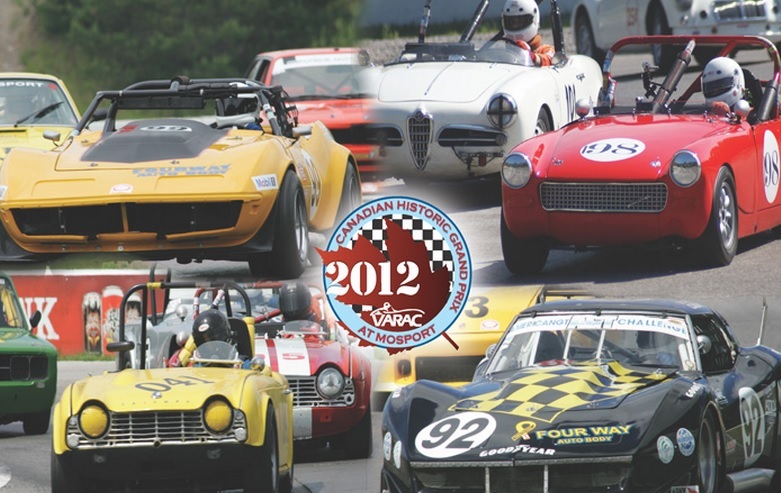 The VARAC – 2012 Canadian Historic Grand Prix is about more than racing. This year VARAC has added a new event on Friday evening – the “Checkered Flag Charity Cruise”, which is open to all cruisers with proceeds going to the Wounded Warriors of Canada. The cruise will be held on the Start/Finish Straight of the famed racing circuit and will give participants and spectators alike a glimpse of the excitement surrounding this race weekend and an opportunity to walk where champions have walked, while viewing a fabulous mix of machinery from hotrods to race cars with the best of rock & roll music and good food and drinks. We encourage everyone to come out for the cruise, join the party and support the Wounded Warriors of Canada, the designated charity for the event. Other features of the weekend include the fast growing “PartSource Field of Dreams Car Show” and welcomes sports cars, hot-rods, car clubs and enthusiasts from far and wide. 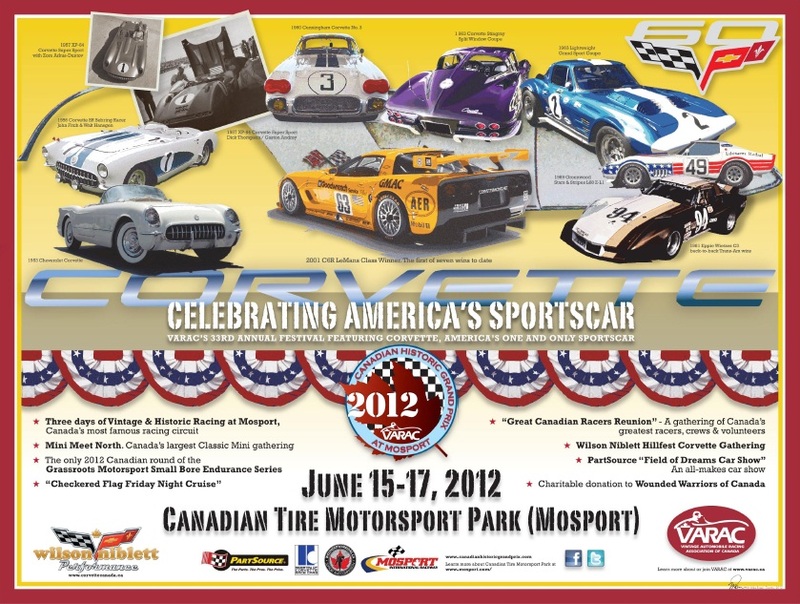 Mosport offers a special discounted day pass for those attending the car show. Also, parade laps of the Grand Prix track will be available to registered car show entries with the proceeds going to Wounded Warriors of Canada. Also, take in Canada’s largest Mini gathering, Mini Meet North while you’re there. 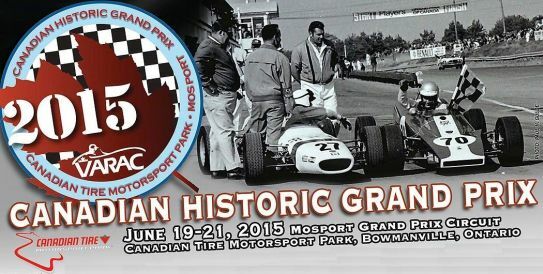 Enjoy the relaxed atmosphere of the VARAC Canadian Historic Grand Prix where you are encouraged to take it all in. Walk through the paddock and get up close to the cars and drivers who will be happy to greet you. Youngsters will enjoy meeting the drivers and being photographed with the race cars. Enjoy free camping. Explore the booths of vendors of all types. Within the park you’ll also find good food and beverage and modern comfort facilities. That’s a lot of action and a super value!